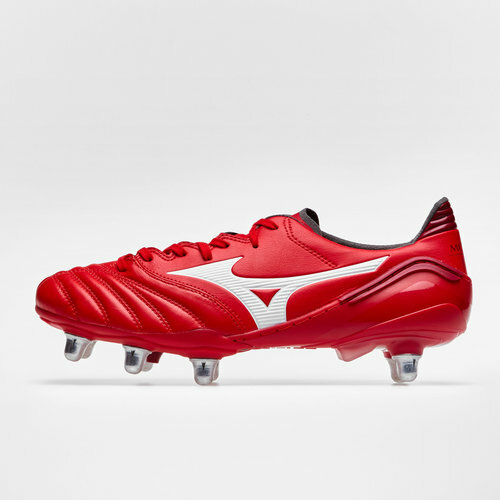 There's no school like the old school, and if you prefer a high-quality classic style boot that boosts your pace then make sure you take to the field in a pair of these Mizuno Morelia Neo II SI SG Rugby Boots in Black and Red. 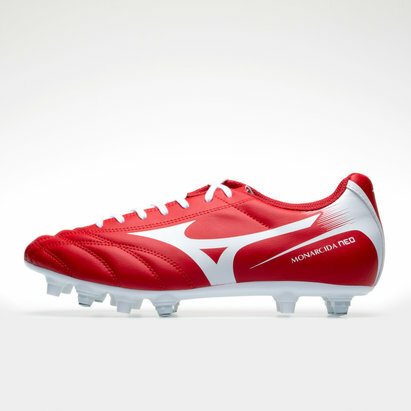 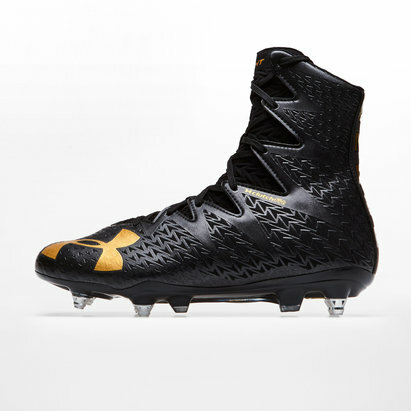 These quality Mizuno rugby boots have been designed for players of all skill levels and roles. 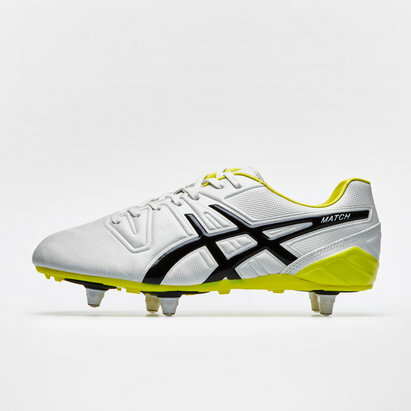 Made from lightweight leather, a flexible Pebax soleplate with removable metal studs are perfect for soft ground pitches as they provide solid traction and stability whilst foot positioning is maintained thanks to a removable anatomically moulded sockliner. 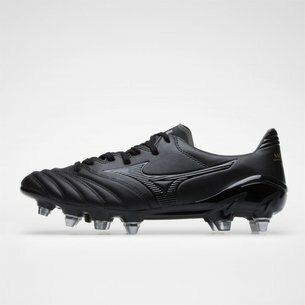 Lighter and more flexible for quick players looking to break apart the opposition's defences, if you're looking for a quality no-nonsense boot then make sure not to miss out on the Mizuno Morelia Neo II SI SG Rugby Boots.